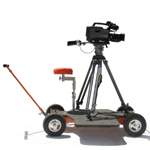 When smooth shots are a must for your video and film projects, you need reliable camera dollies. BarnDoor Lighting offers the right selection of grip products to make every shot count. 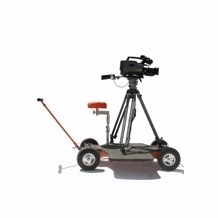 From pipe dollies to doorway dollies to table dollies and dolly tracks, we offer a variety of equipment choices to customize every video shoot to your needs. 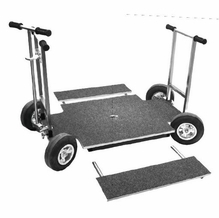 We make sure that our selection of dolly tracks and track wheels accommodates a variety of filming needs, production locations, camera angles and specific movement required. 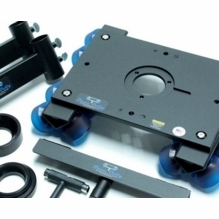 We also offer sliders for a DIY, low-cost alternative to traditional camera dolly equipment. 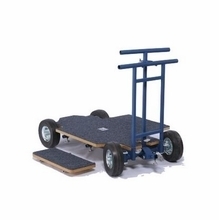 Matthews Dolly Track Stainless Steel Straight 8ft. Shopping for camera dollies at BarnDoor Lighting ensures you get a high-quality product with high-quality customer service to match. We're happy to assist you with all your production lighting equipment needs. We pride ourselves on going the extra mile to get you the right answer every time-it's what has made us an industry leader for over 20 years! Although we are a small business, we provide big service. We hope you'll consider us your go-to source for all your grip needs. Feel free to contact us anytime at 1-888-276-3667 or send us an email:� info@barndoorlighting.com.